The Clash exhibition opened just before Xmas and ended early in the new year 2011. It was an exhibition based around 3 important 1977 photo-sessions with some live and backstage bits and pieces added to the mix. The Clash Story had a theme favoured by The Proud Gallery was “London Calling” the Clash in London. Not strictly true, since one of the 3 important photo-sessions was The Clash in Belfast. The other two main sections were The Clash at the Camden Rehearsal Studios and The Clash under London’s A40 Westway. Maybe it should have been called “UK Calling. The Proud Gallery in Camden is located at more or less the same location as the original Clash rehearsal studios. Aptly named “Rehearsal Rehearsals” it was also my first encounter with The Clash. 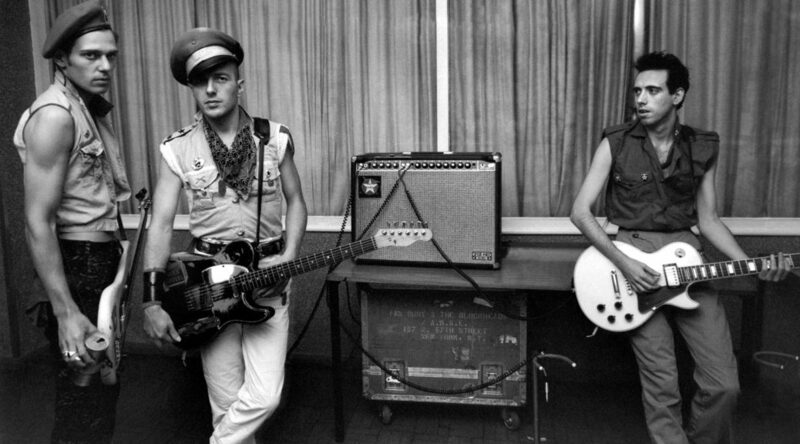 This is a link to our THE CLASH photography archive HERE.